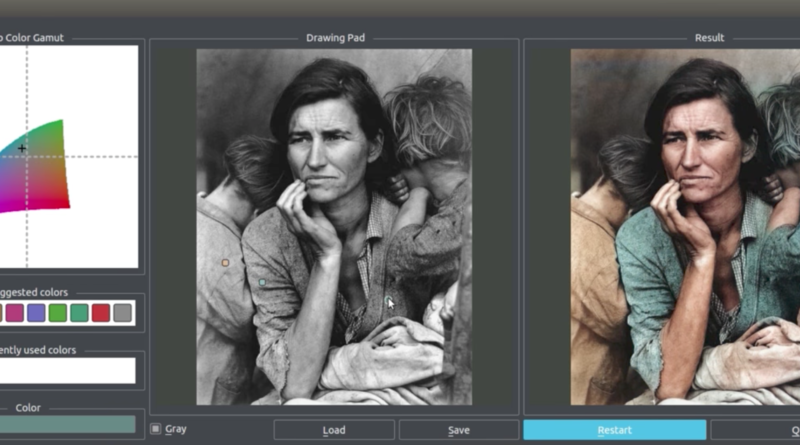 Researchers at the University of California at Berkeley have released an AI-powered software that realistically colorizes old black and white photos. Richard Zhang and his team at the University of California at Berkeley released the AI-powered software for free at GitHub. A year ago, Zhang’s team released the first version of the software, and while this earlier version makes colorizing old black and white photos worked to some extent, it often produced incorrect colors. To remedy this hit and miss process in the color choices, Zhang’s team released an updated version of the software that combines artificial intelligence and human intervention. The team’s latest app allows the AI to automatically change natural color imagery such as change the color of the grass to green or sky to blue, and at the same time give the human user an option to change, for instance, the color of a t-shirt from the color palettes provided by the app. Novice users of this app, Zhang said, can “quickly create realistic colorizations, and show large improvements in colorization quality with just a minute of use.” In the past, colorization of old black and white photos was done using Photoshop – a process that proves to be time-consuming. The researchers said they trained the AI on a million images with simulated user inputs.